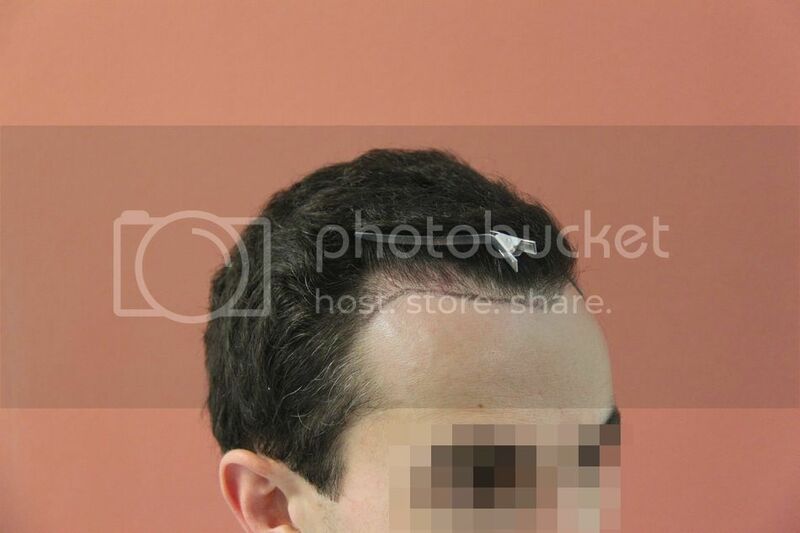 Medications: Propecia in the past. 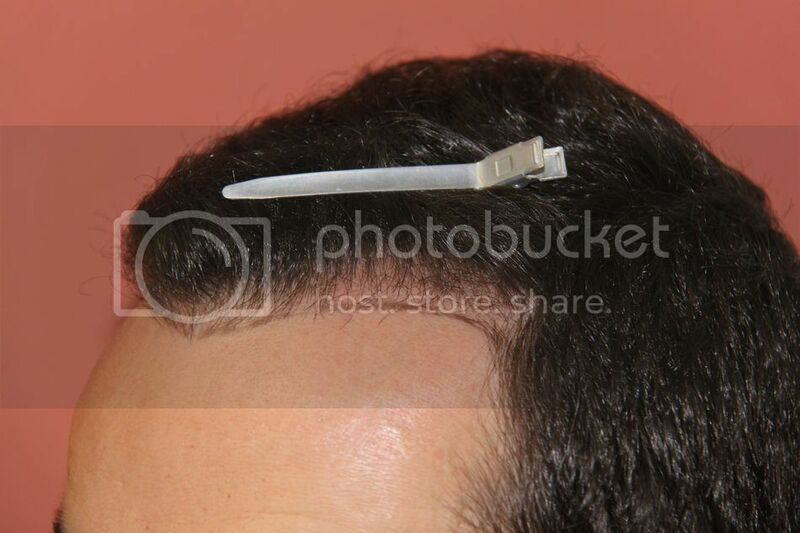 Not currently. 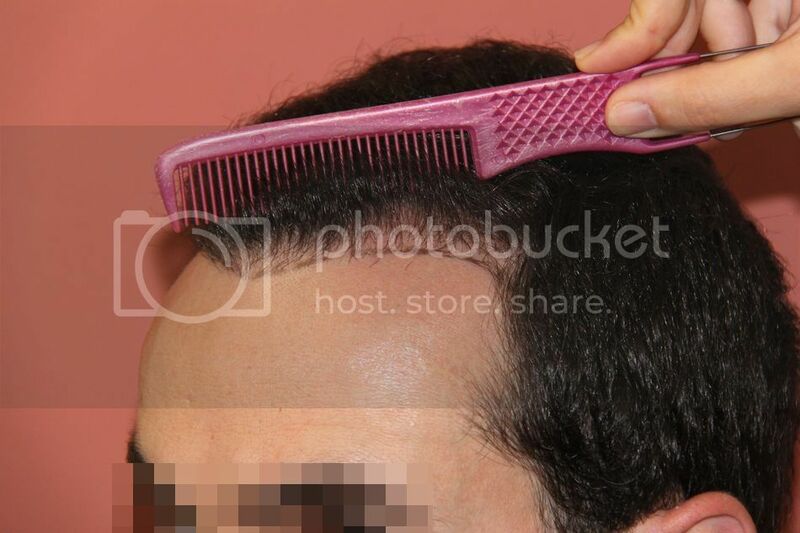 Previous operations: Yes, at prior clinic by way of “strip” of approx 1500 FUs in the hair line. 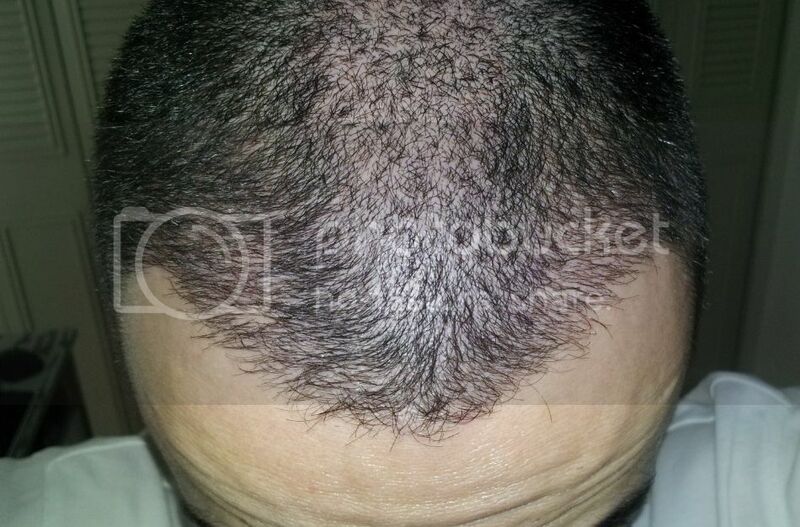 Result showing 0 - 8 Months progression. 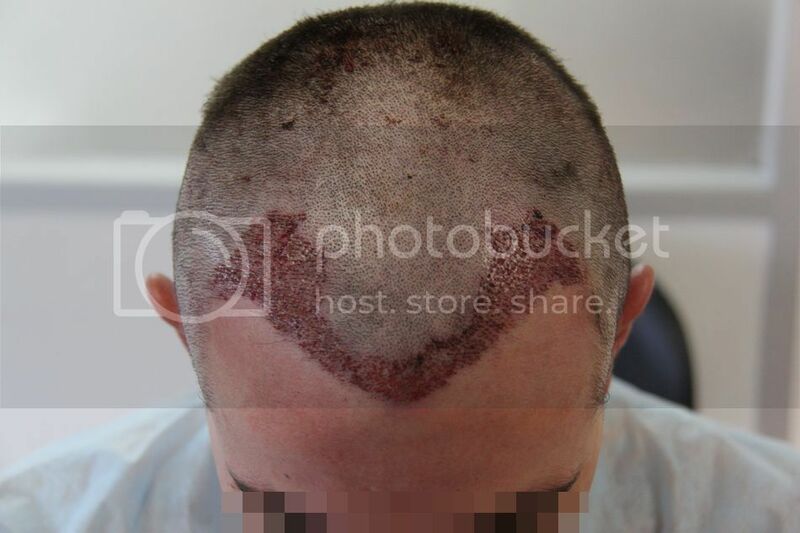 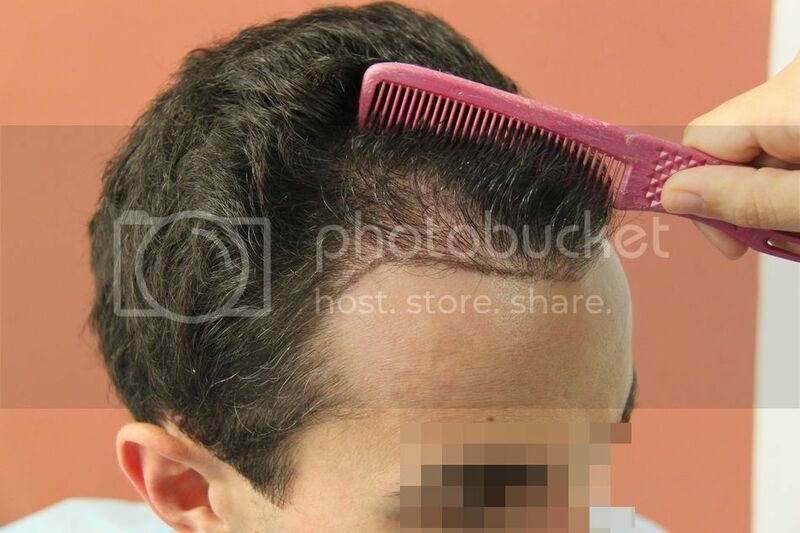 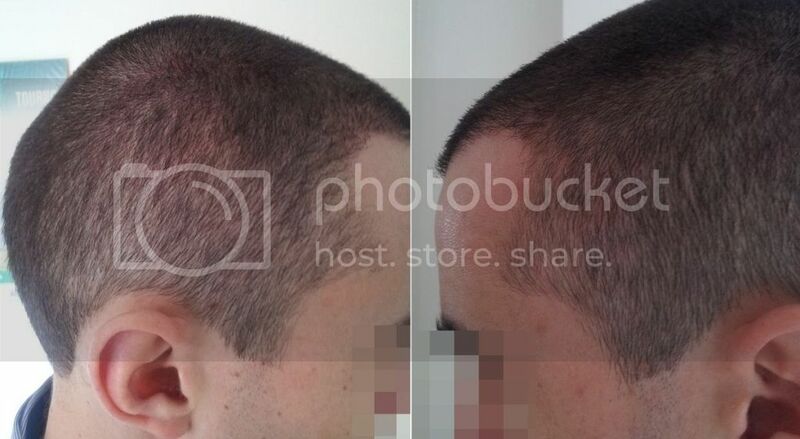 The patient had a previous operation a few years ago at a prior clinic to rebuild the hair line, but the result was not as hoped. 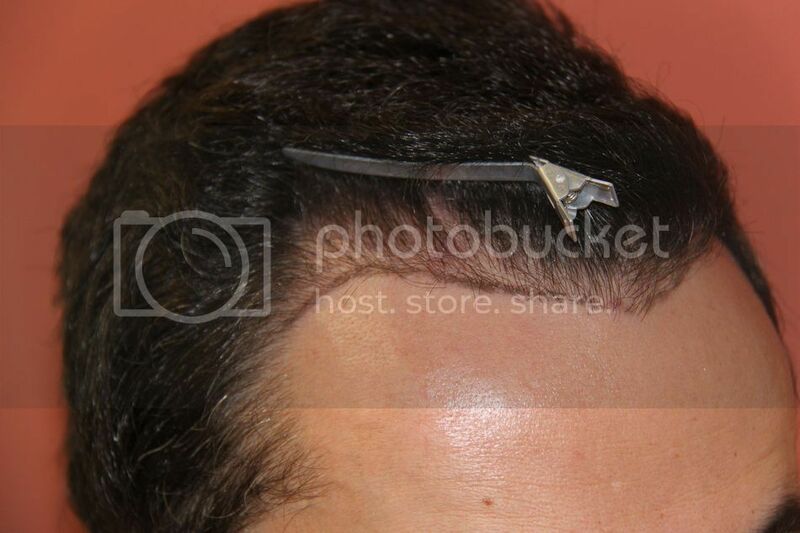 Patient therefore opted for a FUE Procedure with BHR to repair the hair line and add density. 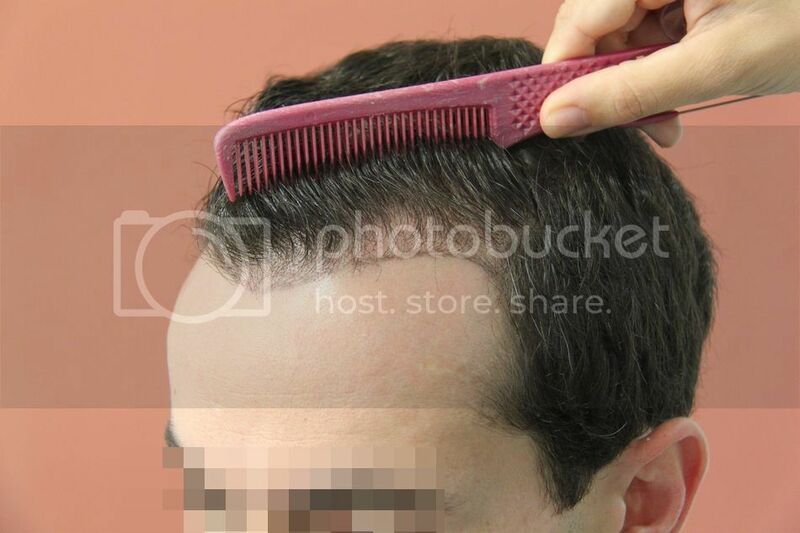 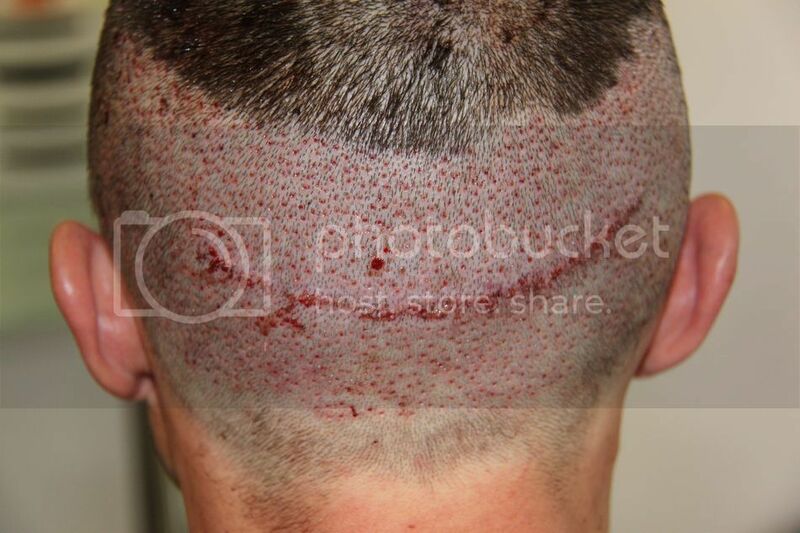 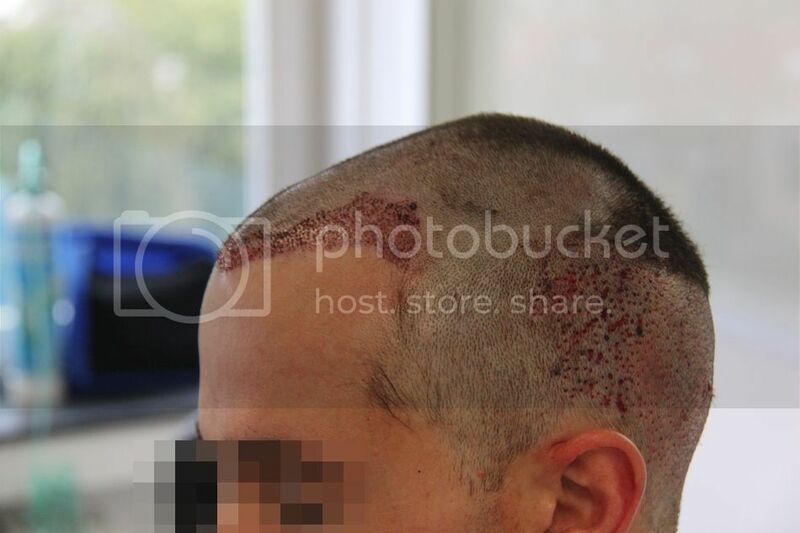 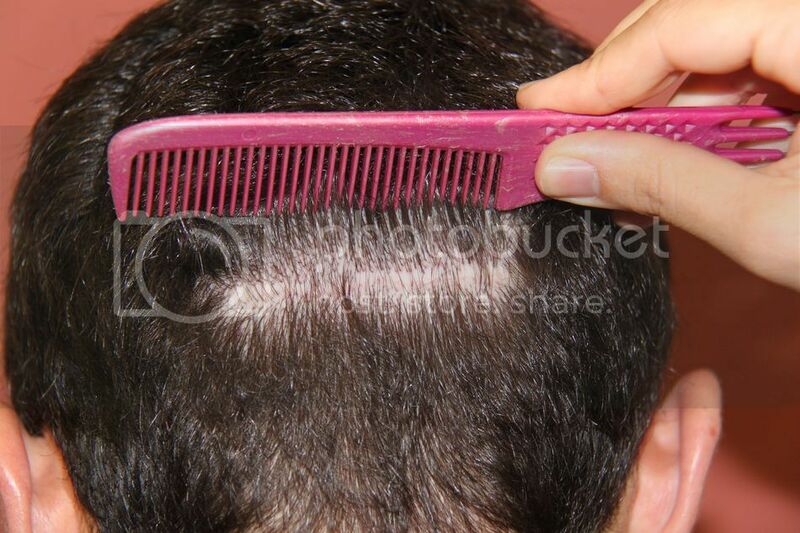 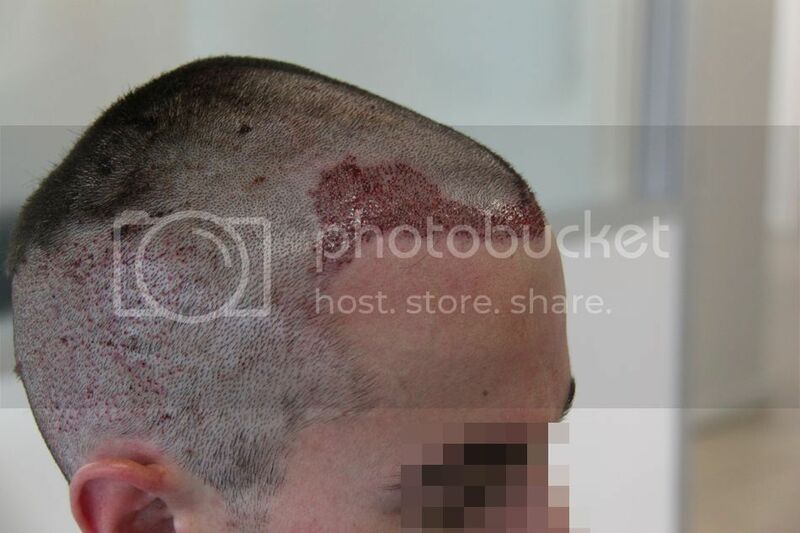 Grafts were also placed into the linear scar as the patient wanted to wear his hair short. 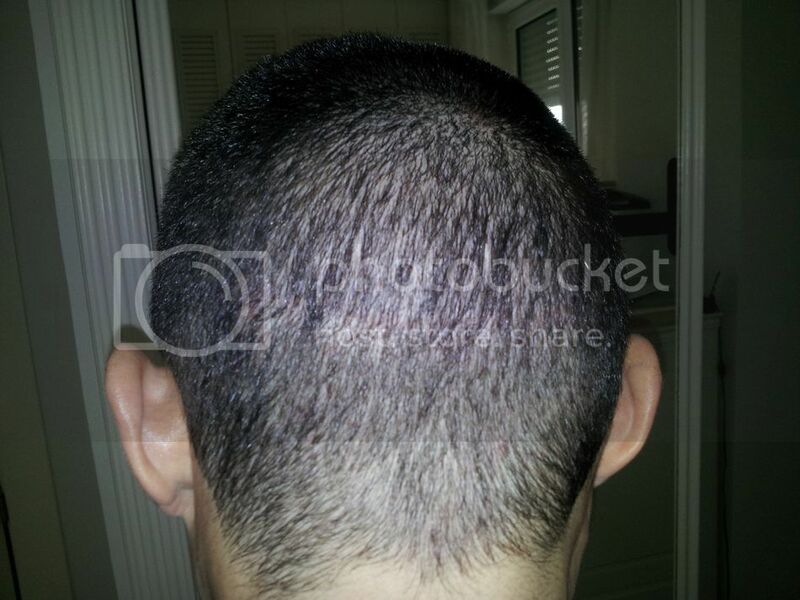 Photos below provided by patient at the early stages of 8 months post-op and shaved, with more thickening of the hair to come.